You are at:Home»Florida Tech Bound»What Is 3D Manufacturing and How Does It Work? What Is 3D Manufacturing and How Does It Work? New technologies are impacting what designers do today and in the future. 3D manufacturing is a technology that uses 3D printing to create objects rather than using molds or other traditional manufacturing processes. A 3D printer can create items made of metal, plastic, and other materials, and some 3D printers are even beginning to create human tissues and parts of organs, with the eventual goal of developing replacement organs that can be used in transplants and eradicate the long waiting lists that lead to many deaths in the U.S. today. Engineers often work with 3D printers to create items and designs. What is 3D manufacturing and how does it work? 3D printers work by putting many thin layers of materials together to form the desired item. There are various processes by which this is accomplished. Photopolymerisation is used with plastics and involves exposing droplets of melted plastic to ultraviolet light to harden them. This process is used in stereolithography and digital laser projection, two common types of 3D printing in both commercial applications and private ones. Sintering is another 3D printing technique in which metals or plastics are heated almost to melting and then allowed to harden. Fully melting materials in order to form them is also used in some cases. Anything that is printed on a 3D printer must first be designed on a computer using software or code. There are a variety of programs that can design objects for printing, but it can be as simple as designing with CAD and then using software to translate the design into commands that a 3D printer can interpret and use. Items that have been printed on 3D printers include models, car parts, guns, and even jet engines. Sometimes the parts are printed and then assembled, but many 3D printers can also print items with several working parts that are already assembled at the time of printing. 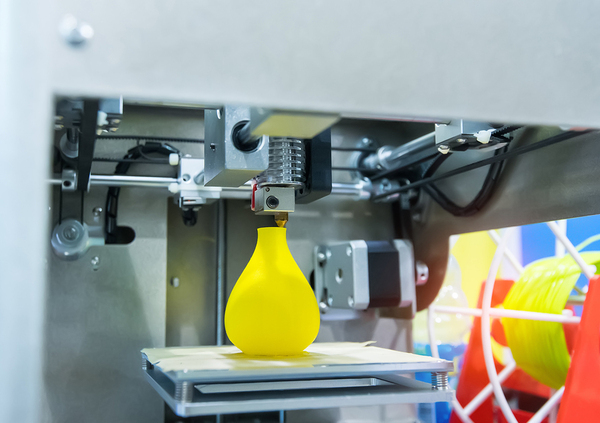 While not all items that are 3D printed are as high quality as traditionally manufactured ones, better quality 3D printers can approach the same quality as other manufacturing processes. The quality of the design is also a factor in the quality of the finished product as well. There are many different processes used in 3D printing. The genius behind the concept of 3D printing is to make mass customization possible—to give consumers exactly what they want and need, one item at a time. This defies the traditional model of mass-production where items are sent to stores for consumers to buy. One day in the future, trucks may not be needed to carry mass-produced items from warehouses to stores, or to deliver items ordered online. If these practices aren’t eliminated altogether, they may be greatly reduced as people rely on 3D-printed items rather than mass-produced ones. Much like the internet and smartphones, 3D printing could change the way we live in major ways over the coming decades. Today’s designers will have a hand in constructing how future 3D printers will work and fleshing out the possibilities of the medium. Florida Tech helps designers get going in careers, including designers who work with 3D printer technology. 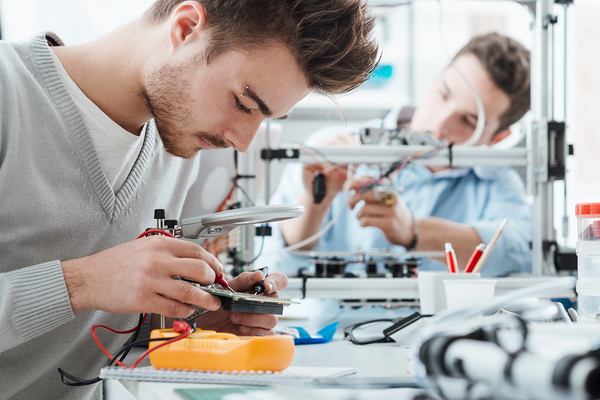 Learn more about our software engineering program and other options that could train you for a career in 3D printer design.